In the present study, Co1−xCaxFe2O4 (0.0 ≤ x ≤ 1.0) were prepared by the citrate auto-combustion method. The evaluation of XRD patterns and HRTEM images indicated a fine particle nature. The average crystallite sizes are found to be in the range of 7.979–37.730 nm. The prepared calcium sample showed a orthorhombic phase structure, while the other investigated samples showed a cubic spinel structure. Elemental maps with the energy-dispersive X-ray spectroscopy (EDAX) analysis provide a visual representation of the elements present. The magnetic hysteresis measurements at different temperatures (77, 100, and 300 K) were achieved using a vibrating sample magnetometer. Magnetic constants such as magnetic moment, squareness ratio, saturation magnetization, coercivity, maximum energy density, and the switching field distribution were calculated and reported. 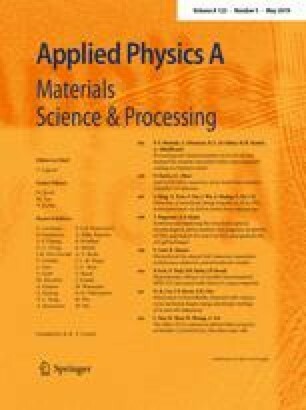 The obtained data shows that, the shape of investigated nanoferrite particles can be used as a powerful tool for adapting magnetic properties. The appearance of double peaks in SFD reveals the competition between strong dipolar interactions and exchange coupling. The substitution of calcium instead of cobalt decreases the magnetic energy loss and the switching field distribution. However, for these reasons, the studied samples can be used in transformer cores and high density recording.